The Reuben is a unique, handcrafted, five varietal blend from Paul and Kathy Drogemuller of Paracombe Wines. 2010 gave a good even ripening season, this vintage presents a well balanced, fruit driven style of wine. Fruit was harvested over several picks from mid March through to late March. This wine is made predominately from Cabernet Sauvignon. Interestingly six clones all with individual characters. The blend of varieties used in The Reuben were grown at the Drogemullers vineyard along with their neighbouring specialist local family growers. The Reuben showcases and brings together the best of the Paracombe region in an infusion of style and elegance, the hallmark of Paracombe Wines. Following harvest and ferment, the wine was matured for 18 months in French Oak barriques and hogsheads. This wine has intense colour has deep ruby tones with bright edges in the glass. The bouquet is highly aromatic with lifted aromas of poached rhubarb and plum, together with hints of delicate oak, leatherwood and spicy liquorice characters. 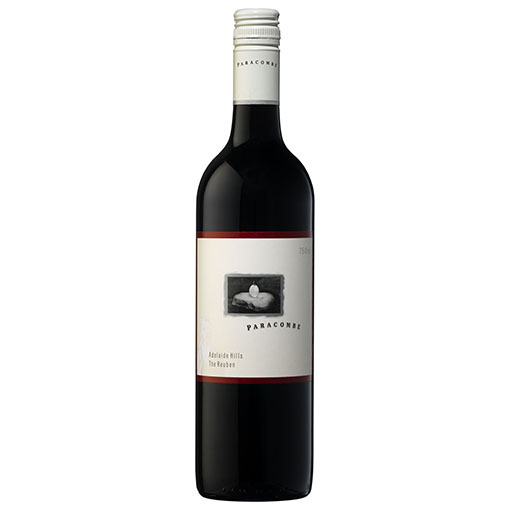 The palate is generous and finely structured with rich, sweet fruit driven flavours of fresh loganberries and raspberries interspersed with savoury and spicy notes. The Reuben is a great food wine and complements many styles of food. Will reward with age and to be enjoyed for many years to come. SKU: A2006. Category: Museum range.